Bariatric surgeries are increasingly performed to treat obesity worldwide. The currently available literature on these surgeries mainly focuses on their abdominal complications, giving less attention to their thoracic ones. Hence, the present work aimed to highlight the thoracic complications associated with bariatric surgeries. A retrospective descriptive study was performed and involved the review of the medical charts of 390 patients who underwent different bariatric surgeries between January 2014 and January 2017 in our hospital or who were referred to us from other centers after their specific operations. The data of patients who developed thoracic complications and who required further intervention were identified and categorized by the modality of diagnosis, outcome, duration of hospital and ICU stays, and management. Patients with a history of a preexisting pulmonary disease were excluded. Twenty-six patients were observed to have thoracic complications secondary to their bariatric surgeries. Twenty-two patients (84.6%) received post-laparoscopic sleeve gastrectomy (LASG). Nine patients (34.6%) required ICU stays. Twenty patients (76.9) had incidences of pleural effusion in the postoperative period. The mean duration of hospital and ICU stays were 4.4 ± 11.67 days and 15 ± 19.36 days, respectively. Other reported thoracic complications included esophageal perforations, thoracic empyema, septic pericardial effusion, and pancreaticopleural fistula. Bariatric surgeries are safe procedures in selected patients. 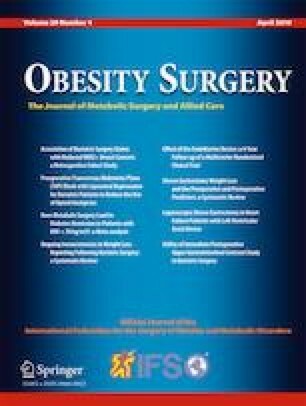 There is a significant amount of literature describing abdominal, nutritional, neurological, and even ophthalmic complications after bariatric surgeries. Being that they are relatively rare, thoracic complications are underreported in the literature. The management of thoracic complications after bariatric surgery requires awareness and a high index of suspicion to prevent further morbidities and mortalities. Ministry of Health. Healthcare Licensing Services; 2019. Available from: https://www.moh.gov.sa/en/eServices/Licences/Pages/Regulations-Annexes.aspx. Accessed 25 March 2019.